Get your very own T-Patch etched wine glasses. 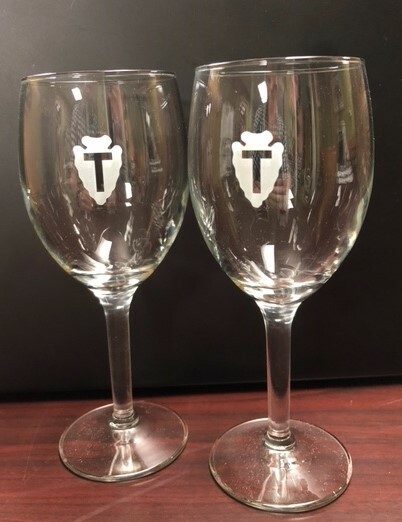 These 8 ounce wine glasses feature the Distinctive Unit Insignia of the 36th Infantry Division the “T-Patch”. The insignia was approved in January 1919 and features an arrowhead for Oklahoma and a T for Texas as the unit was originally made up of Texas and OK National Guard troops. These are limited edition and are only available for PICKUP at the museum. We will not be shipping these glasses.